Engineering design and development projects involve a multitude of plans in various formats. Such documents are created, used and updated throughout a project. We argue that the interactions among plan documents, their content, their stakeholders and the planning processes can be usefully perceived as a planning system. The planning system is instrumental in coordinating a design and development project and thus strongly influences how it unfolds. In this article, a survey tool is developed to assess a planning system from its stakeholders’ perspective. Results from the survey are analysed using Multiple-Domain Matrix (MDM) methodology to derive insights and suggestions for improvement. The approach is developed and demonstrated through a case study in a company that develops advanced electronic scientific instruments. 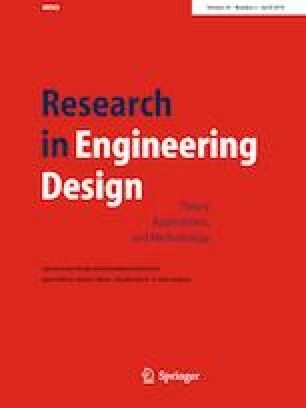 The authors gratefully acknowledge past and present collaborators for discussions on engineering design planning, especially Nicholas H.M. Caldwell and Claudia M. Eckert. We also thank the Editor, and the anonymous reviewers for sharing their insights. Special acknowledgement is due to all participants in the study at Company X, who wish to remain anonymous. Figure 1 is reproduced from Research in Engineering Design, Planning development processes for complex products, vol. 21, 2010, p. 160, Claudia M. Eckert and P. John Clarkson, ©Springer-Verlag London Limited 2009. With permission of Springer.